I'm Atty, I live in the sunny "☼" Tuscany the most visited European region between Lucca and Pisa's famous leaning tower. 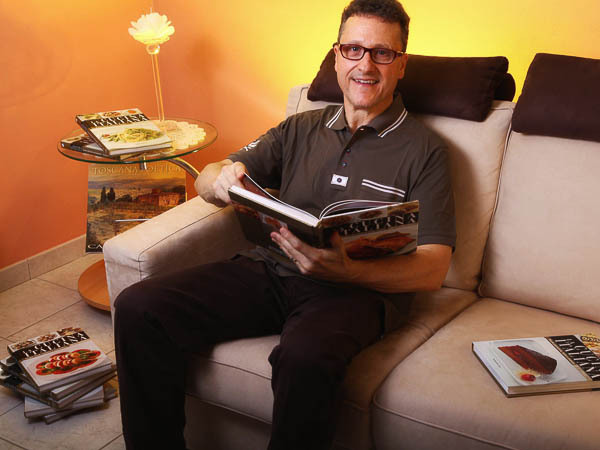 Yes, I'm the guy behind pinchofitaly.com with the passions of cooking and writing. 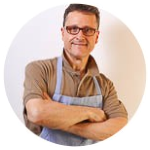 This website has been created to merge all that passion and love "♥" for Italian food, English, photography and of course the web "☺"
I've widely read many cookbooks and an whole encyclopedia about Italian cooking. 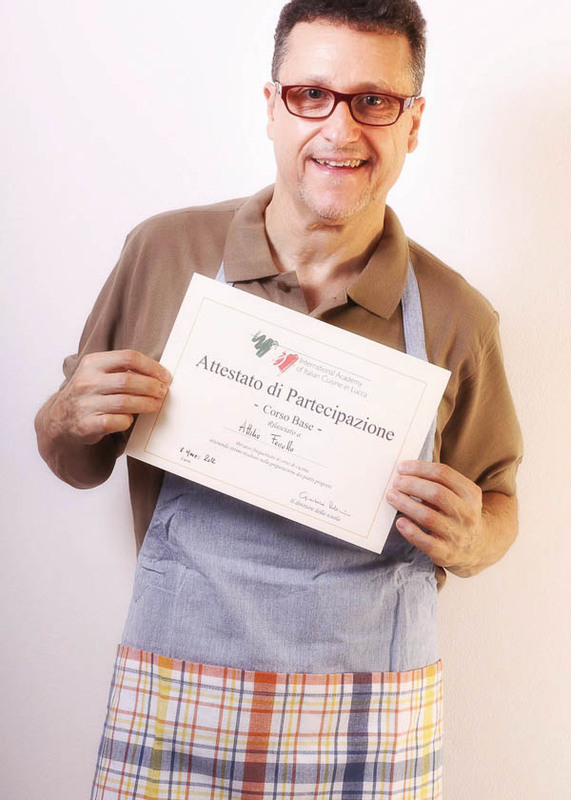 I was (still I am today) engrossed by the books of "La Cucina Italiana" until the point I took a basic course at a Tuscany cooking school here in Lucca, back in 2012. Yes, we actually are great Italian food lovers and not just Italian of course. My wife Miry and I love almost any kind of food. She's native from Naples the city of fanatic Italian foodies. Thanks to Miry and her mother's cookery I could appreciate many kinds of southern dishes and foods. Fresh, juicy S. Marzano tomatoes, great buffalo's mozzarella and of course the world's famous pizza are all coming from Naples. I've published many Italian traditional recipes as well as many authentic Italian pasta recipes here at pinchofitaly.com. So, how couldn't I be influenced by Italian cooking? There was no way to escape! But, that's been very good for me since I could indeed get into it. Here we are, my lovely wife Miry and our cat Pippy, elected as well Pinch of Italy's mascot. Today, we live "Under the Tuscan sun" where food is as much good as Naples even though the traditions are different. 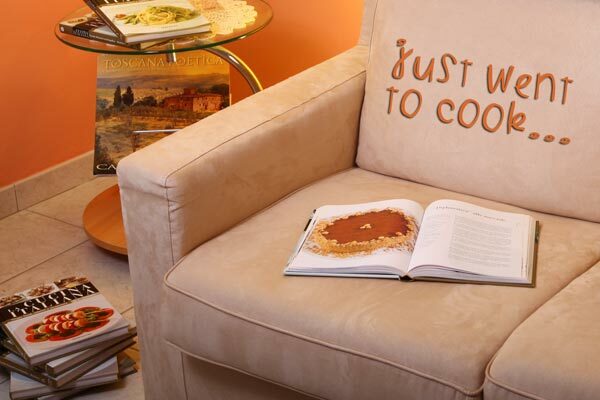 So you can also find some great Tuscan recipes over Pinch of Italy. If you've visited, and eaten some of the food of this region you already know what I'm talking about.